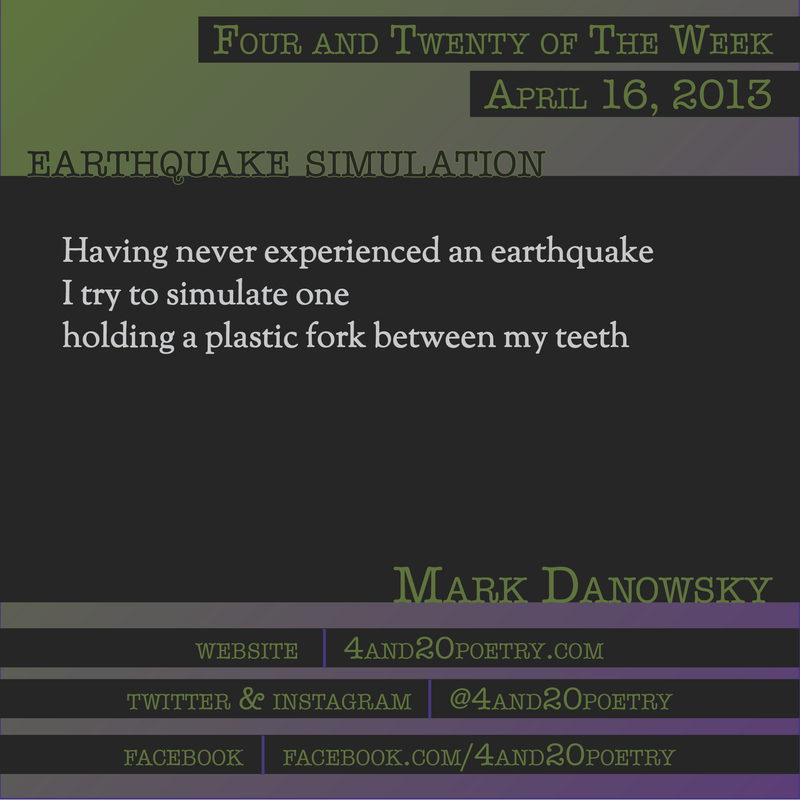 Mark Danowsky’s poetry has recently appeared in Mobius: The Journal of Social Change, Red River Review, Right Hand Pointing, and Snow Monkey. He resides in Northwest Philadelphia and works for a private detective agency. This entry was posted on Tuesday, April 16th, 2013 at 4:20 am and is filed under Four and Twenty of the Week, Micro Poetry, Poetry. You can follow any responses to this entry through the RSS 2.0 feed. Both comments and pings are currently closed.